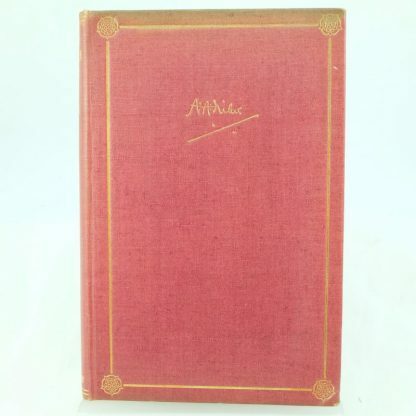 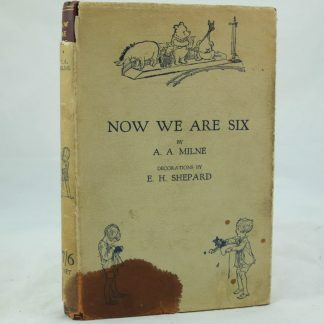 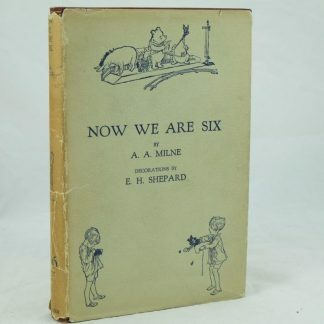 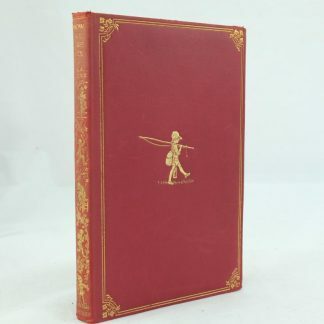 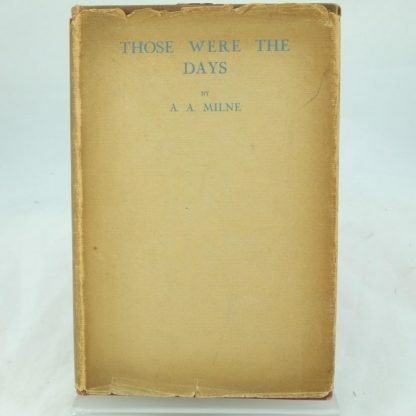 A lovely book containing collected writings of A A Milne in one limited edition volume. 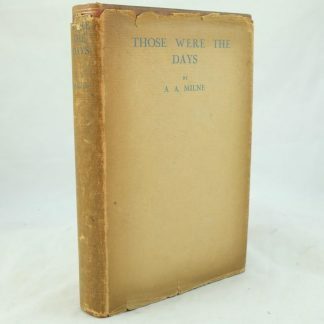 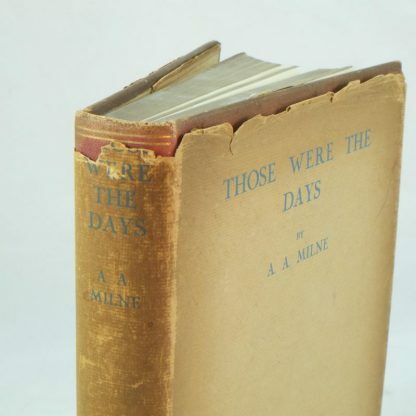 It is rare to find a signed copy of Those Were The Days and in such good condition. 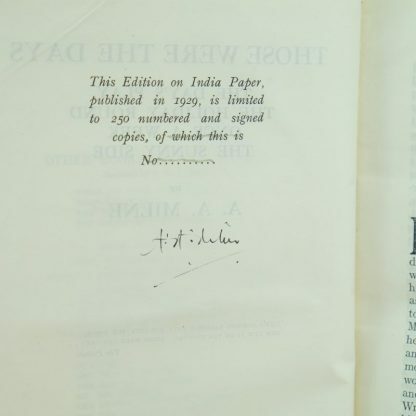 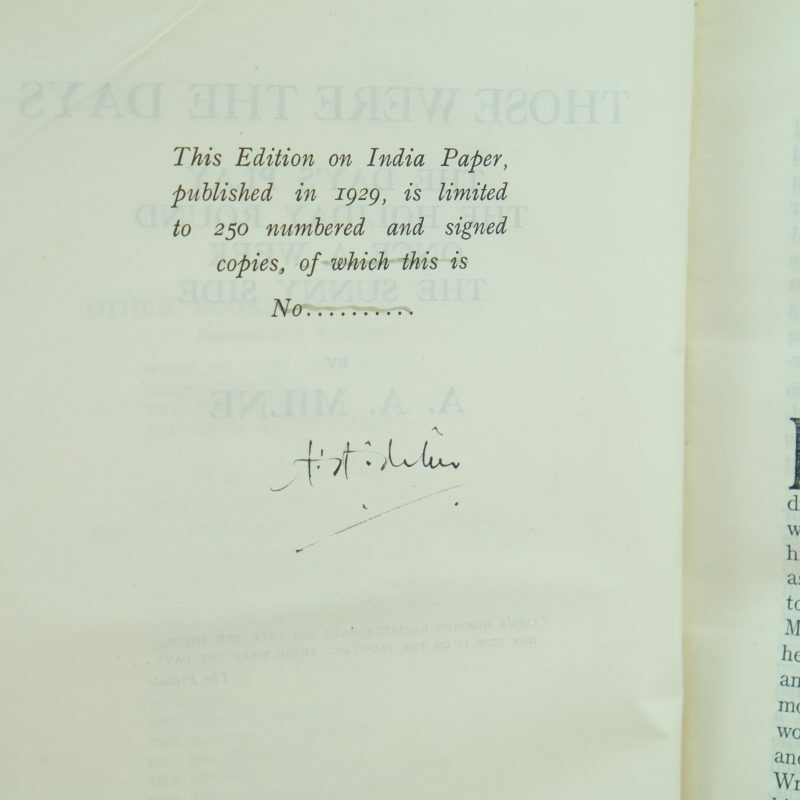 The editions are limited to 250 copies (no number listed on this book). 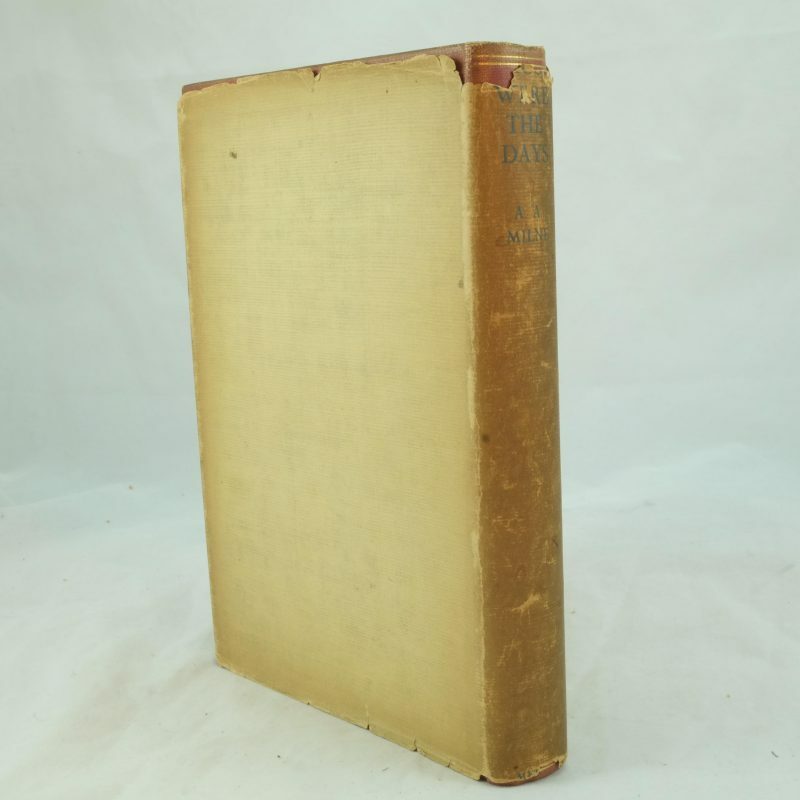 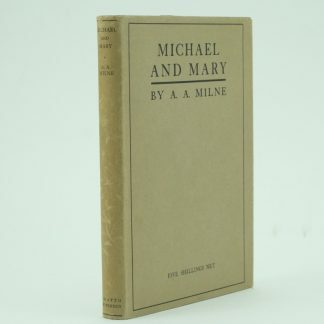 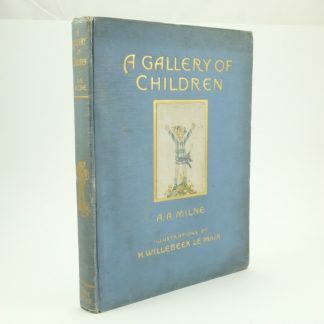 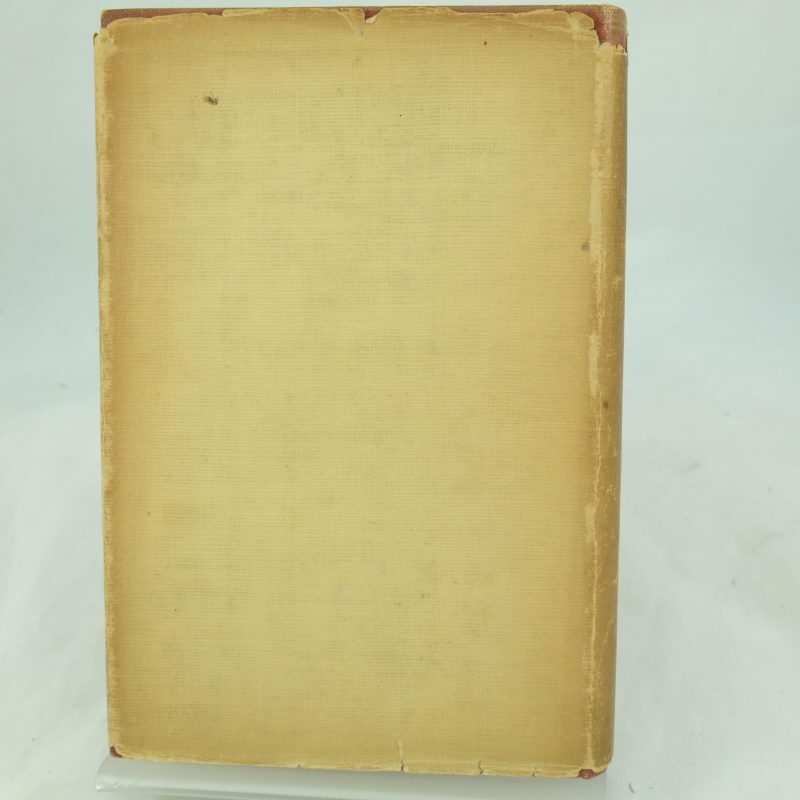 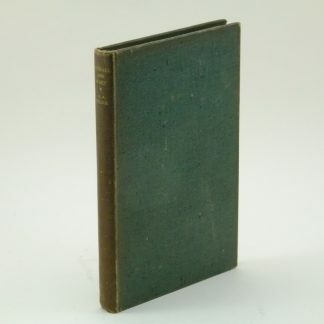 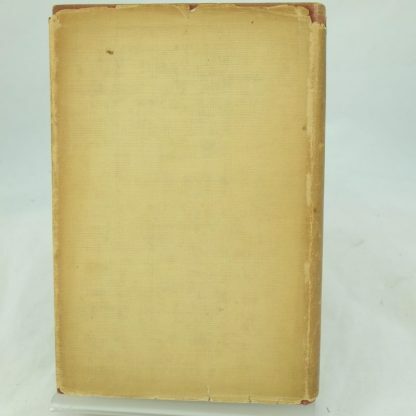 The volume is the first collection of four of A A Milne’s essays and story collections all of which had been previously published separately. 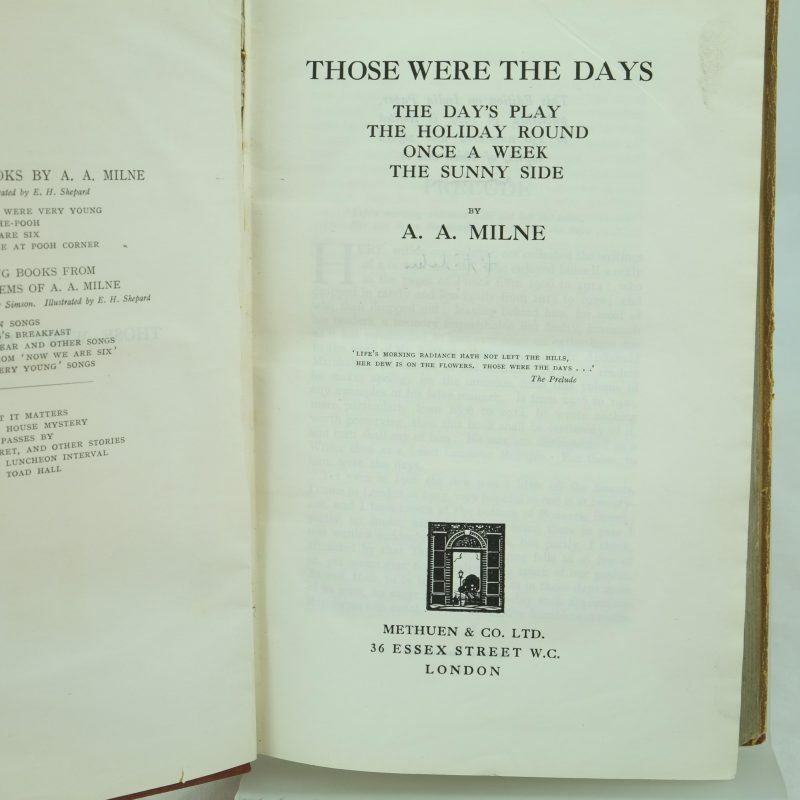 The title of these are The Day’s Play, The Holiday Round, Once A Week, and The Sunny Side.